Google Voice was a big deal when it launched back in 2009—there was a waiting list to get access, and the entire concept felt magical. However, Google seemed to give up on Voice some years ago, offering users the option to port some features of Voice into Hangouts and Project Fi. 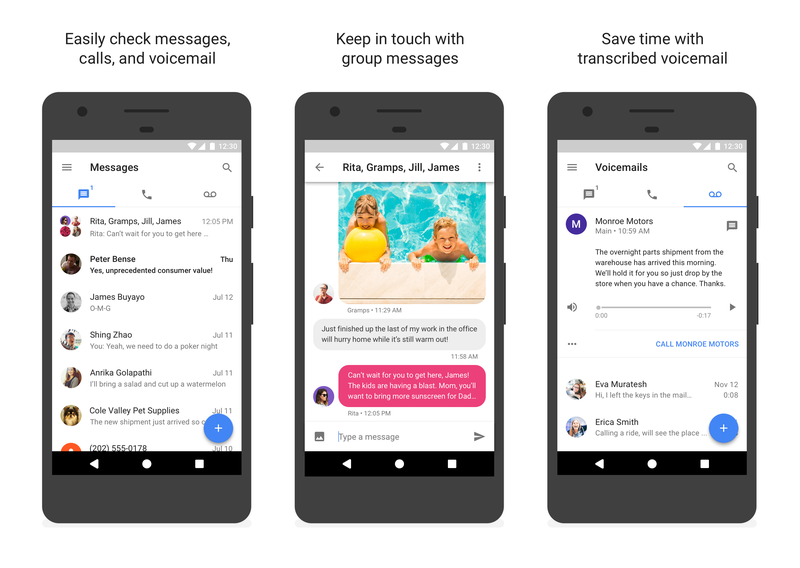 Now, Google Voice is back and completely revamped. 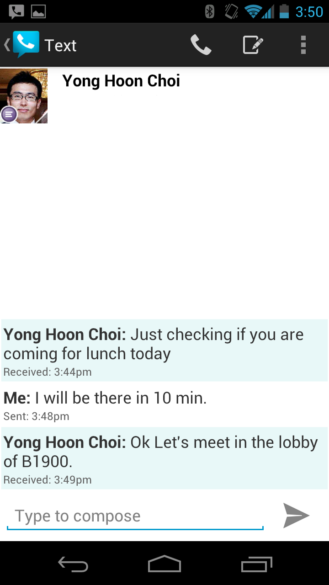 The Voice app was in a pretty sorry state until now with a thoroughly Holo interface. 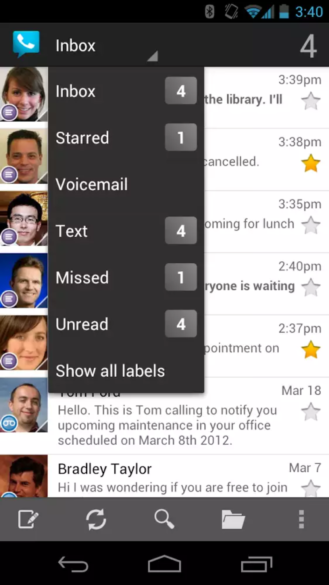 The new app looks like it belongs on a phone from 2017, and you can navigate to your texts, calls, and voicemails using the inbox tabs. 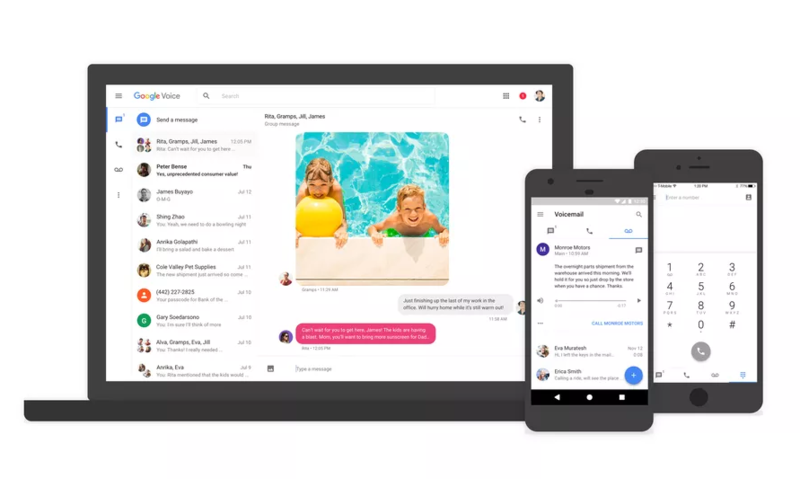 Some of the features that were only available if you ported messaging to Hangouts are now available in Voice, including MMS for photos and group texts. Since this is now a modern Android app, you can also expect to see nice animations, brighter colors, and quick replies from notifications. Google has pledged not to let Voice fall into disrepair again. There will apparently be regular updates to the app and web interface going forward. One of those updates will add support for the next generation RCS messaging standard according to The Verge. The app is just now starting its slow rollout and should be available to everyone in a few days. As soon as you have the new app installed, the web interface should switch over to the new one. We'll post the APK as soon as we get our grubby paws on it. If you'd like a reminder of how ugly the old Voice app was, here are some screens. We've got the APK ready for download right here. Enjoy.